Has my 2004 Pontiac Aztek reached the end of the road? | I'm not stalking you. ← Foto Phriday: What is wrong with this picture? 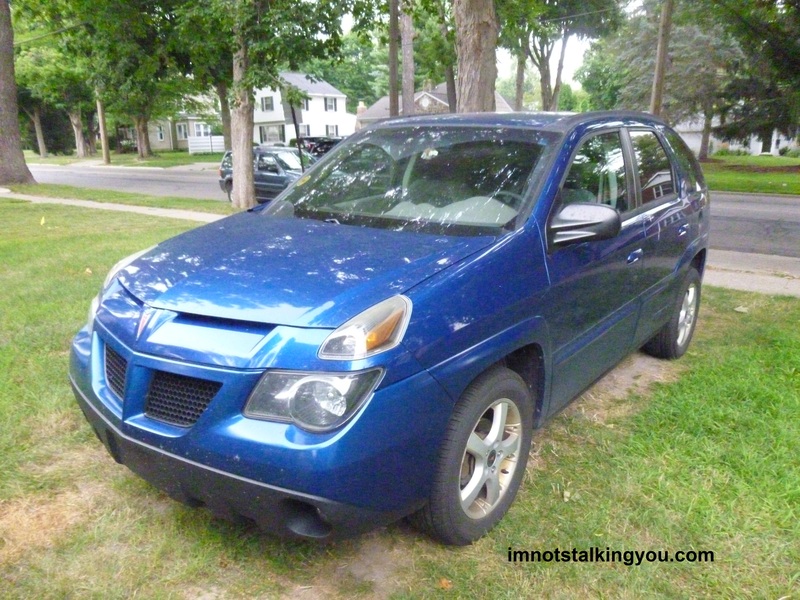 Has my 2004 Pontiac Aztek reached the end of the road? Tuesday morning I drove my car to work. Tuesday evening I stopped off at the grocery store before I came home. When I started my car at the store, it started rough. I gave it a “What the hell.” I looked at the temperature gauge, and it was all the way at “Hot”, which never happens. I only had 2 minutes to go down the road to head home. In that time, the fan came on and the needle went lower down. When the fan turned off, it would pop back up to “Hot” again. The car was still running rough, which I would later learn is due to that it automatically reduces how many cylinders it is running on when gets too hot. I haven’t had a professional look at it, because I am afraid it may overheat before I get there and get stuck. I don’t really want to pay the price of a tow if I don’t have to, as now the car sits in my own driveway. And, I have little hope of reviving Baby Car from the dead. It still starts and runs. But the most likely internal coolant leak, rim of milkiness inside the oil cap, overheating, and white smoke from the tail pipe all lead me to believe that I have a bad head gasket. At over 10 years and 226,000 miles, I don’t think anyone would be surprised by this. 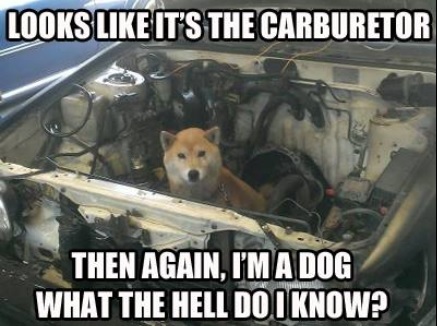 I have talked to my pseudo dad, Mr. Goodwrench, on the phone about this twice. His questions and advice kind of lead me to the same conclusion. I tried researching on the Car Talk website, but that just sort of overwhelmed me with information. I am wondering at this point if my husband might want to do a compression test on it. I also read where I could try adding sodium silicate to the coolant to seal the leak. But this would require changing the oil and filter and flushing the coolant system. All things that my husband would have to do. I don’t see where throwing money at it with professional labor would be of much benefit to me. At this point, if it can’t be fixed, the only monetary value of my car would be for a push/pull trade-in offer. Baby Car has been a good car. I will compose a full obituary and post at a future date. Believe it or not, I actually had other events going on this week that were stressing me out even worse than an end to my car that I have probably spent around 6,000 hours of my life bonding with. I can’t even let myself begin to think about my uncertain transportation future. I would just curl up in a ball on the floor and never get up. Even if we do find a short-term fix, I don’t think it will see 300,000 miles, which was the new goal after I hit 200,000 miles. Posted in A day in the life, What I Learned This Week and tagged 200000, 2004, 226793, antifreeze, Aztek, coolant, gasket, head, miles, overheat, Pontiac. Bookmark the permalink. If I listen to my gut, it tells me that there is a good possibility this job will not work out, and I shouldn’t go overextending ourselves with a second car payment. I wish your dad was still here. I bet he would have advice to give me.